These types of canvas cover for sun protection are popular here. 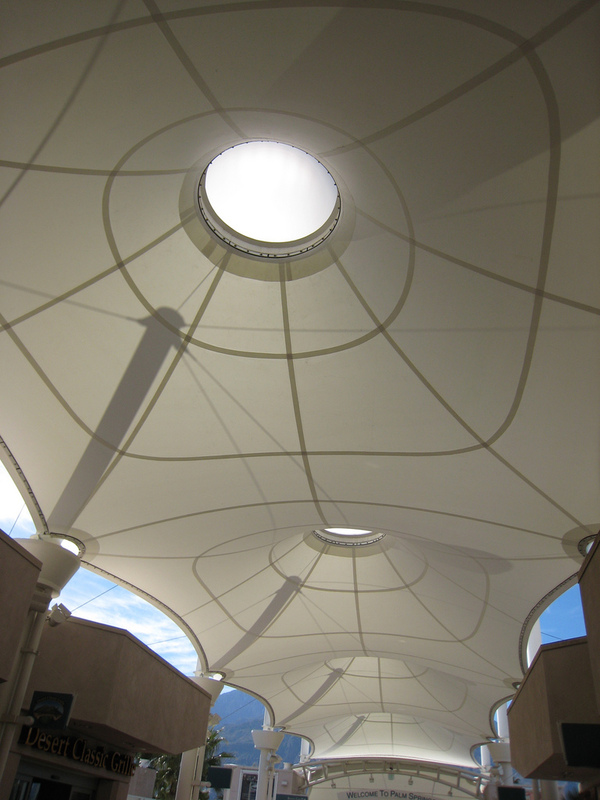 The white surface doesn't absorb so much heat so it stays fairly cool outside under one of these. 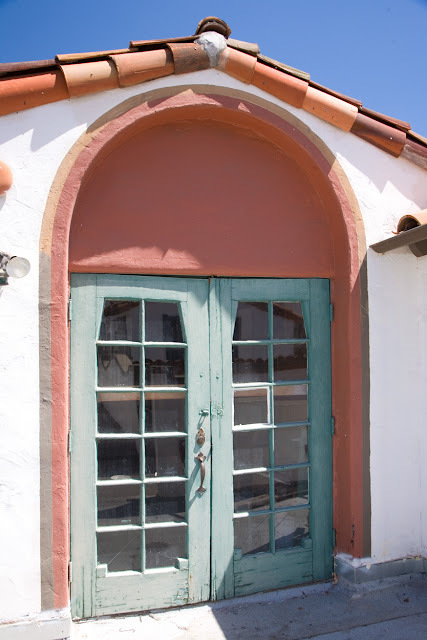 A famous person lived in this house. Who was it? HDR shot of Palm Springs Animal Shelter. 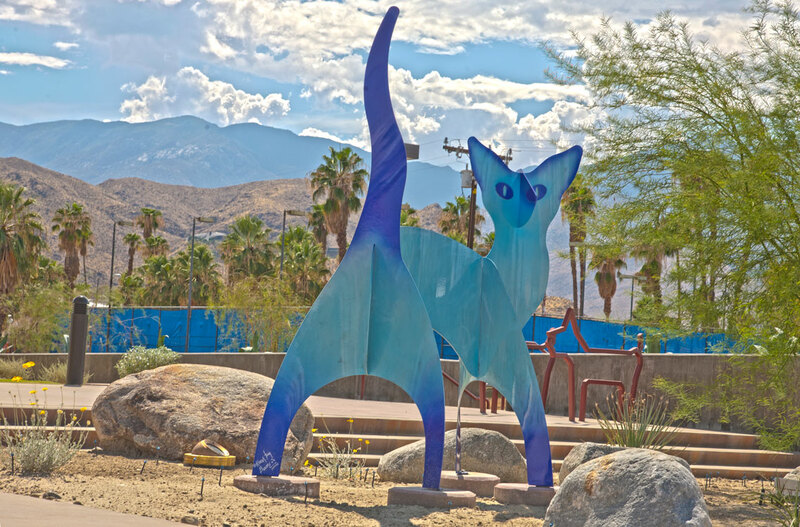 The cat statue in front of the Palm Springs Animal Shelter, which is expected to be open any day now. 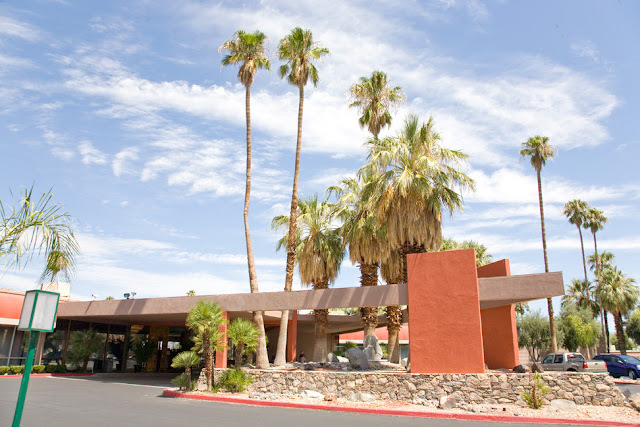 Many people go Happy Hour Hopping in Palm Springs because their are abundant restaurants with incredible prices. Who knows if those prices will stick when the season begins next month. Margarita's restaurant at 1000 E Tahquitz Canyon Way in Palm Springs is a great place for Happy Hour. Three or four people can get out of there full from snacks and a bit buzzed from Margaritas for about $20-$30. 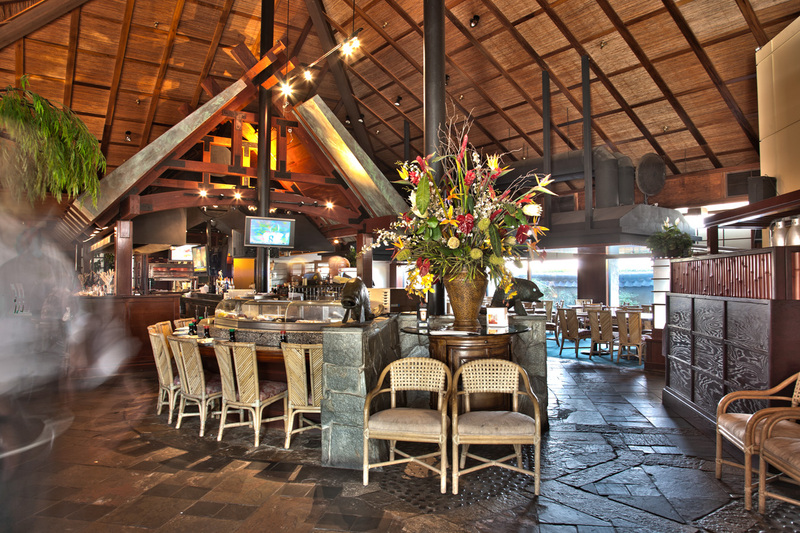 About the Photography: This works well in HDR (a type of photo-editing process) because the restaurant has so many objects in it. Make sure you click on the image to see the full effect. HDR doesn't work very well if you don't have much detail in all parts of the frame. At any rate, here's my second HDR photo on Palm Springs Daily Photo. Palm Springs Daily Photo's first HDR image. 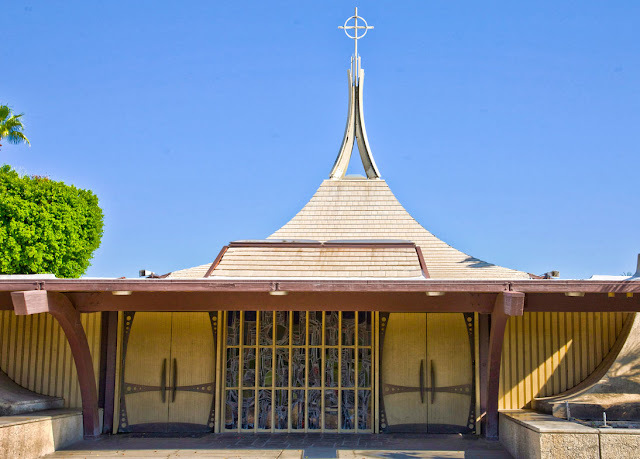 Modernist church on Ramon Road. Cruising the Internet I found a great photo of Marilyn at the Racquet Club in Palm Springs. 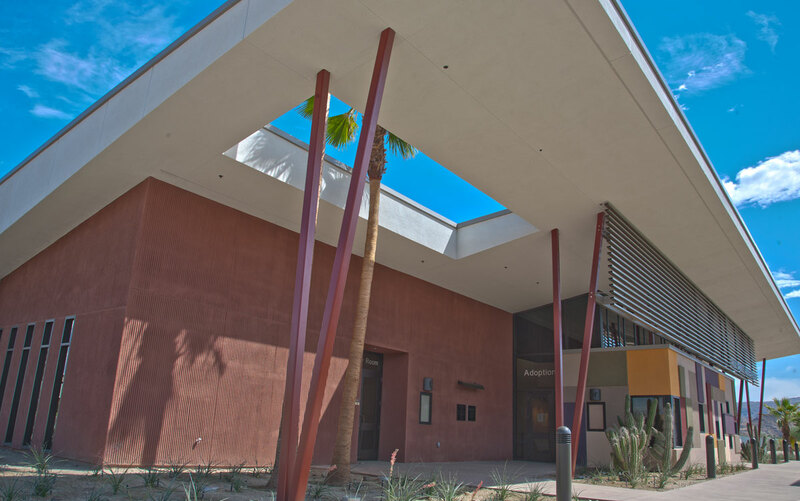 So what's happening with the Racquet Club. It's been through many changes. This is how the Racquet Club Palm Springs is today. You'd think that not many people shop in Palm Springs. They're too busy lounging around the pool. 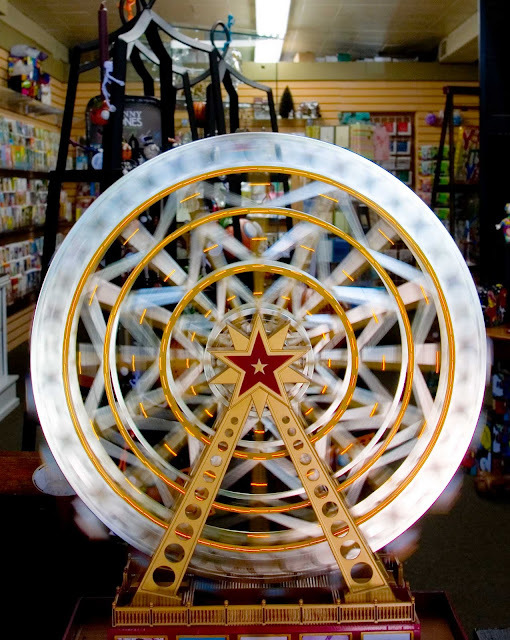 Antique and gift shops along and around Palm Canyon have some interesting and fun toys. In order to get this shot I put my lens against the window so that the camera would remain steady, resulting in some cool motion blur as the ferris wheel was turning. As I was photographing it, the shopkeeper got kind of nervous, staring at what I was doing. I left before he could say anything. No harm done. Anyone know the shop selling this? 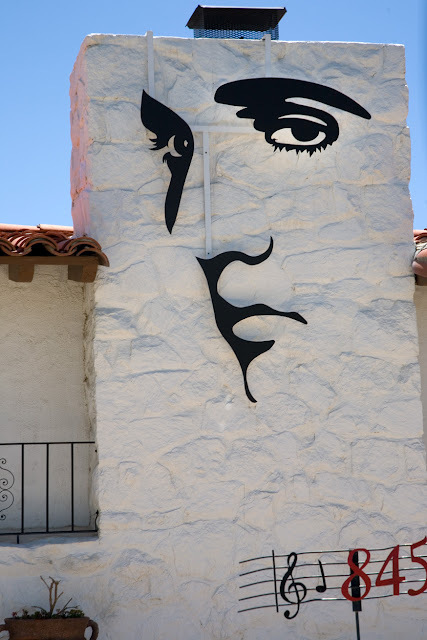 Elvis house in Palm Springs. 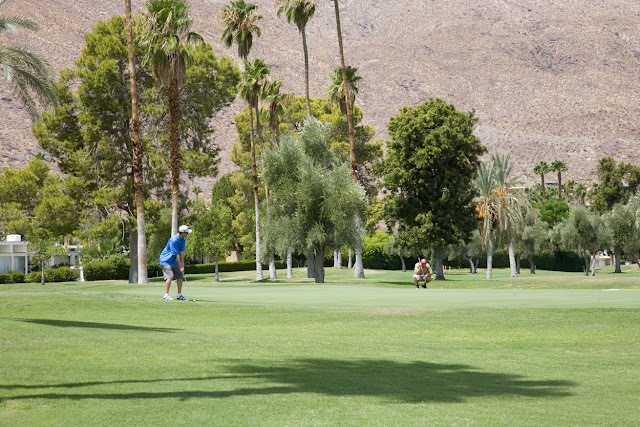 Almost every tour of Palm Springs will take you there. If you want to go there yourself, it's at 845 W Chino Canyon Rd. 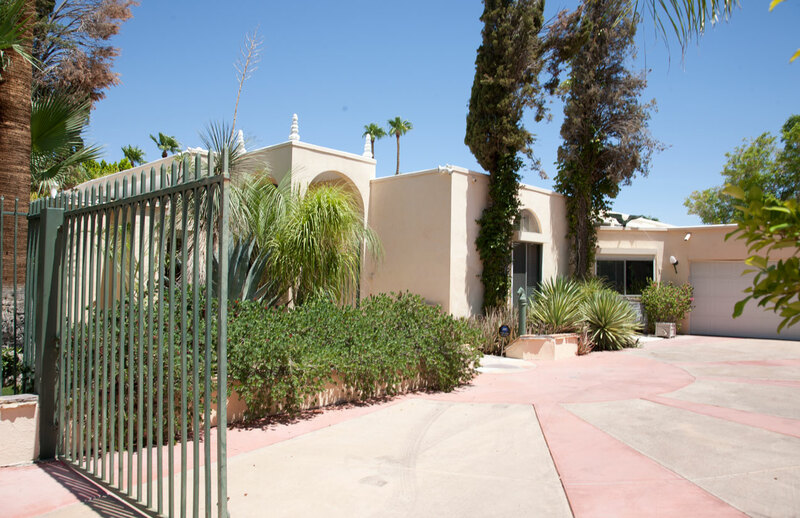 Elvis actually owned this house, buying it in 1970. It's not his Honeymoon Hideway, which he rented in the late 1960s. Palm Springs has some great Spanish architecture. 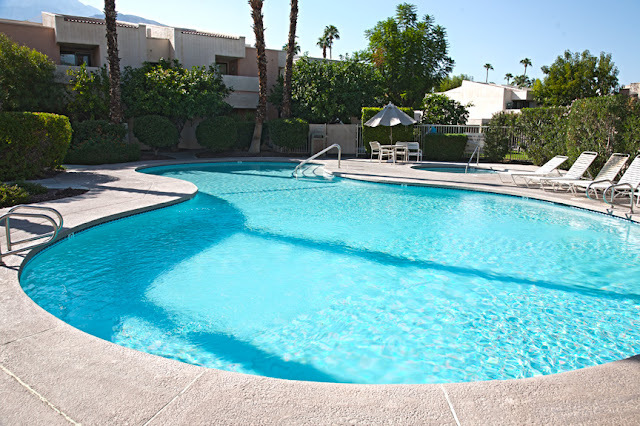 There's an old saying about Palm Springs in the summer. 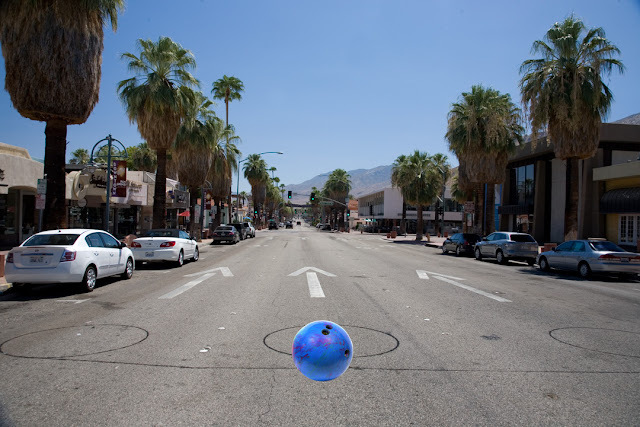 It's "you can roll a bowling ball down Palm Canyon and it wouldn't hit anything." That's partially true, but it's not like the old days where no one came to Palm Springs off-season. Today they're coming in on the weekends in droves. The economy is so bad, the LA people only get as far as Palm Springs when they're traveling. There are a whooping 125 golf courses in the Coachella Vally. 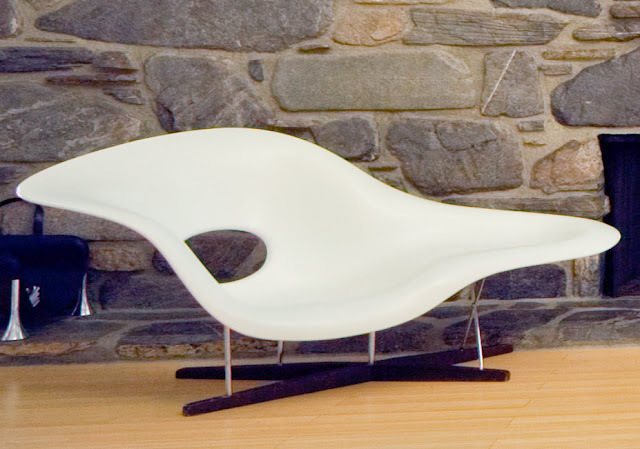 Modern chair from the store "Room Service," which used to be located in Palm Springs. There's a bicycle rental place there now. Shot this while playing with my Rebel flash. Kid asked me to take his picture. Kind of a cool effect. 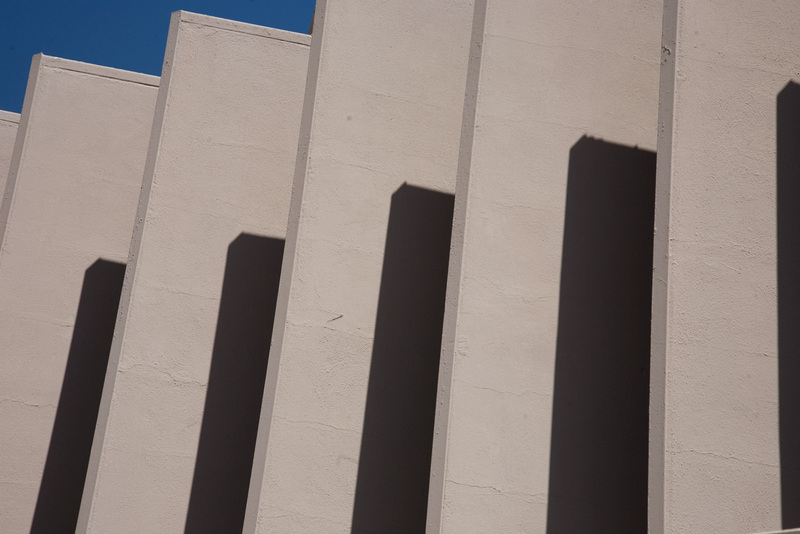 Modern architecture that looks like piano keys. Modern architecture under partly cloudy skies.